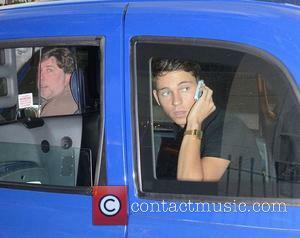 British reality TV star Joey Essex arriving in Las Vegas. He says he is in town to party and expresses his love for 'American birds' and his dream of marrying one, as well as the American accent. He talks about meeting Kim Kardashian and the photographers joke about her new single status. Why Did Joey Essex Jump Into A Shark Tank?